Warning: Contains mild spoilers regarding Tana French’s In the Woods. 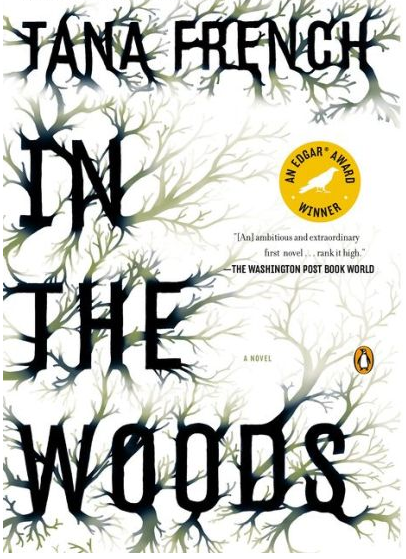 I was recently reading Tana French’s bone-chilling novel, In the Woods. If you haven’t read it, drop everything and do so immediately. It won’t take you long because it is one of those un-put-down-able, stay-up-to-3am mysteries. Late in the novel, the protagonist/detective finds the diary of the young woman whose murder he has been investigating, which made me think about that old chestnut, “the discovered diary trope.” You know it: a diary is discovered that contains crucial information that allows mysteries to be solved or truths to be revealed. I would characterize it as tired, overused, and narratively lazy trope, one that good writers steer away from. I love that parenthetical aside and the image it conjures up of characters across literary history willy-nilly smashing furniture in search of hidden wills that will turn their circumstances from poverty and hardship into wealth and opportunity. Diaries reveal the truth about the authors’ relationships, goals, thoughts, and values. Discovered diaries need not be formulaic pap. In the hands of someone like French, the discovered diary trope becomes something else. In In the Woods, French turns the trope on its head (as she does throughout the novel with regards to multiple mystery/detective fiction tropes): the diary is not discovered by the detective but someone else, who hands it over to him; the diary doesn’t solve the mystery (it’s already been solved); and the diary does not guarantee that the guilty party is caught or punished (she isn’t). French’s discovered diary frustrates expectations by failing to provide resolution. In that sense, it is a wonderful citation of the trope, even as it subverts it. EDITED to add: I’ve been reviewing my notes on diary criticism and stumbled across Abbott’s discussion of the “conceit of the found object” and the common framing device of representing a diary as a real document that is found and introduced by another. While not exactly synonymous with “discovered diary trope” I’ve addressed here, it’s still worth citing this useful source: H. Porter Abbott, Diary Fiction: Writing as Action (1984).